I’m still dealing with a lot of anger. It makes me feel weak. I feel weak as a mom and weak in my faith. I feel ashamed because I’ve started looking into this huge community of moms of premature infants who have had to endure so much more than my son and I have. I take it out on my husband. I have flashbacks to the weekend my son was born and review what I did and how I felt to see if there is any point I could have made a different choice for a different outcome. Rationally, I know there’s probably nothing I could have done to prevent my son’s prematurity. Just as there’s nothing I could do to prevent the shortened tendons in his left foot causing it to twist in. Of all the things that could be wrong, this is fixable and probably without surgery. But I’m still angry, and I mourn. 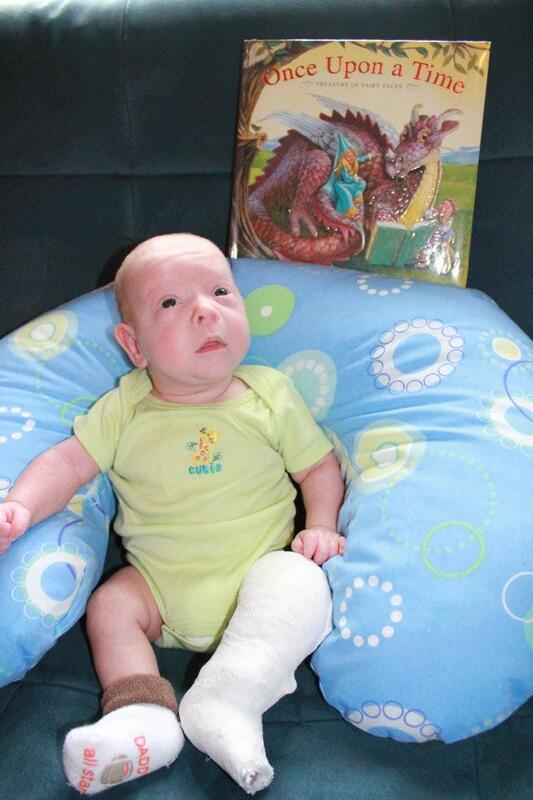 I hate that everyone who sees my “newborn sized” baby in a cast think he was injured in some way. I hate the pity when I explain to them why he’s actually wearing it. I worry about his future struggles with 23 hour bracing for the next several months and 12+ hours of bracing until he’s 4. I know I should be thankful, but I’m still just too mad.